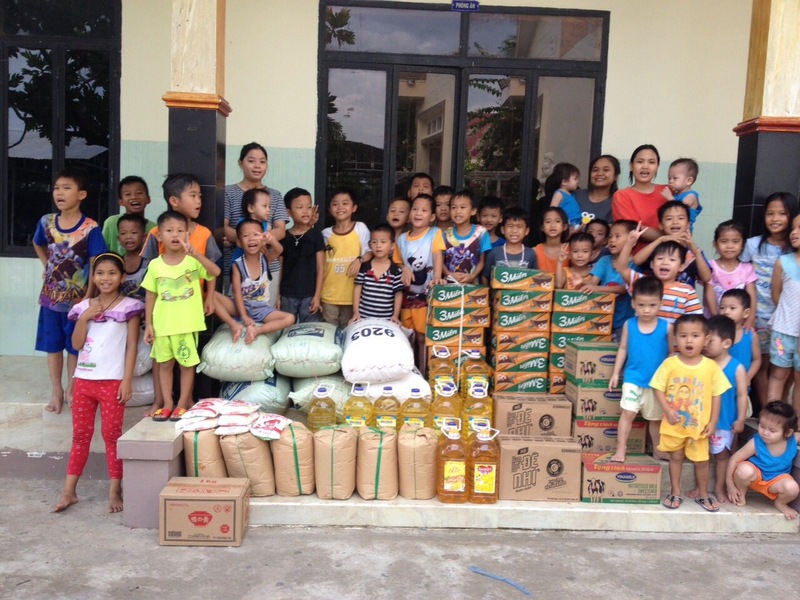 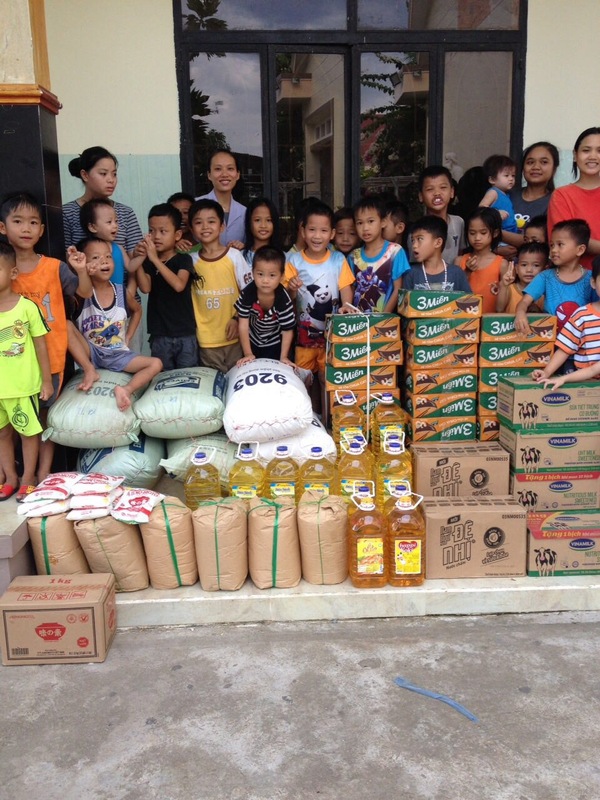 On June 12, 2018 we brought lots of food and essential supplies to the Nhan Ai Orphanage. 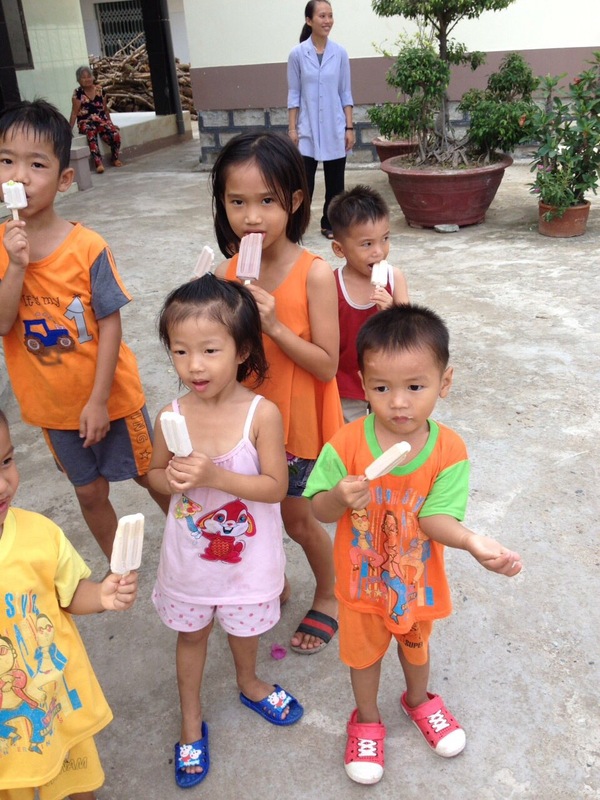 Located in Cam Ranh, to the south of Nha Trang, Nhan Ai is the largest orphanage we assist, with over 120 children of all ages. 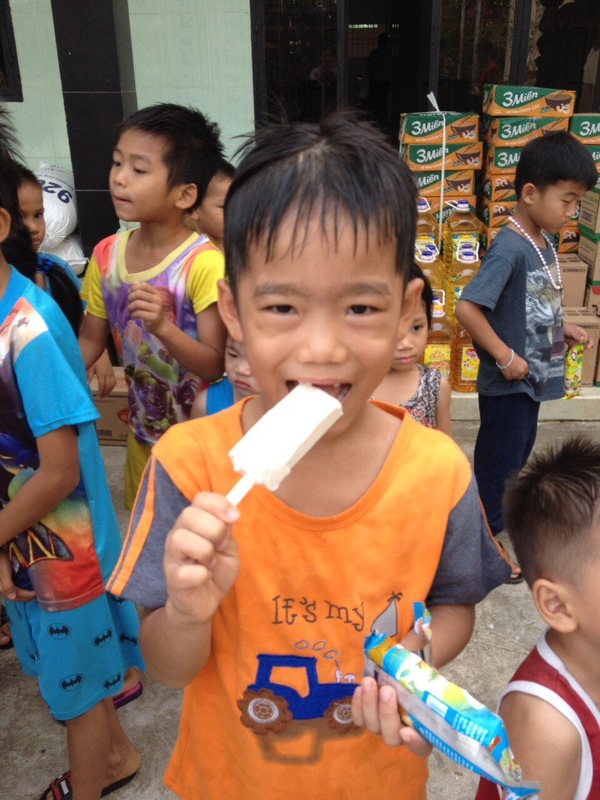 The nuns of Nhan Ai provide a loving environment for the orphans, and our visits are always met with many adorable smiles. 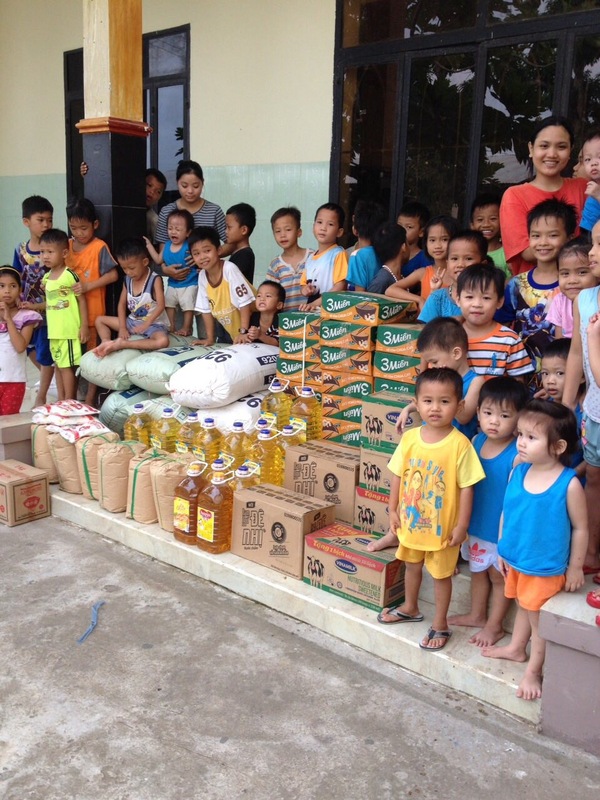 We contacted the nuns to learn their most pressing needs, and they had a detailed list of items. 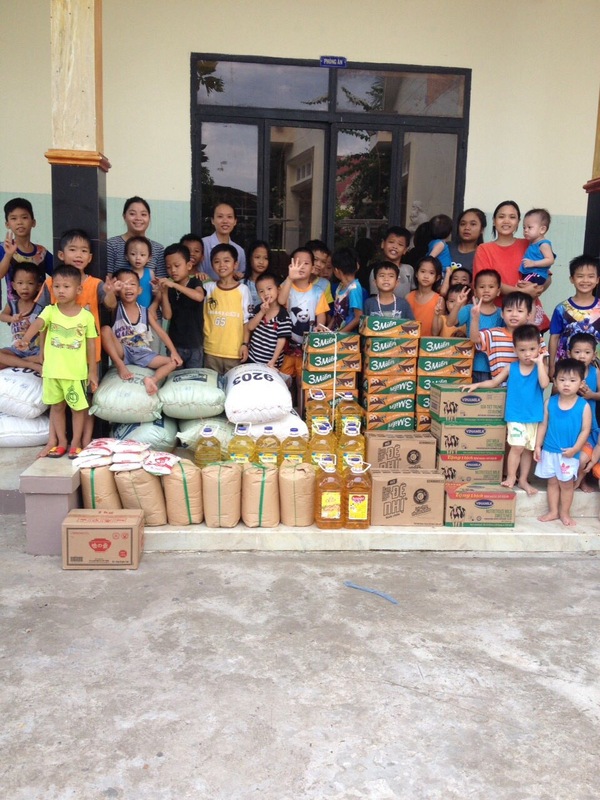 For this visit, we brought bags of rice, boxes of noodles, bags of bean varieties, bottles of cooking oil, cartons of milk, bags of seasonings, and cleaning supplies. 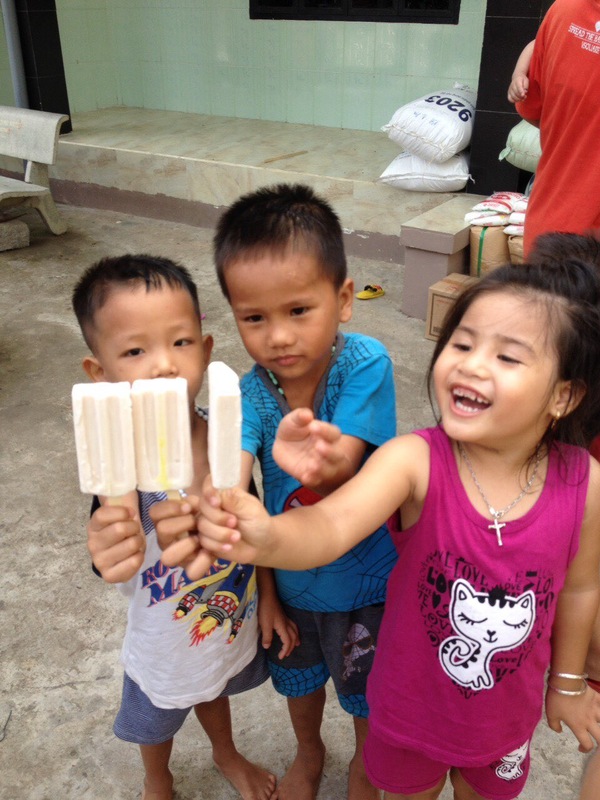 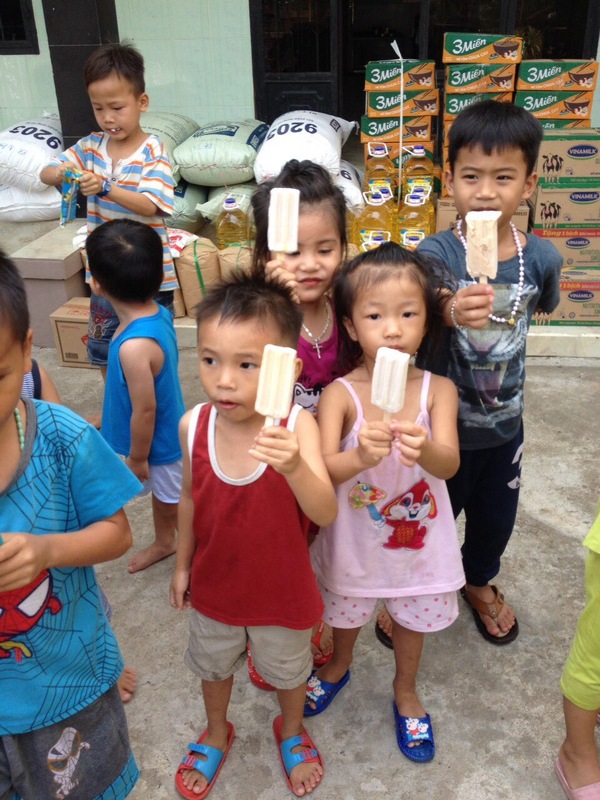 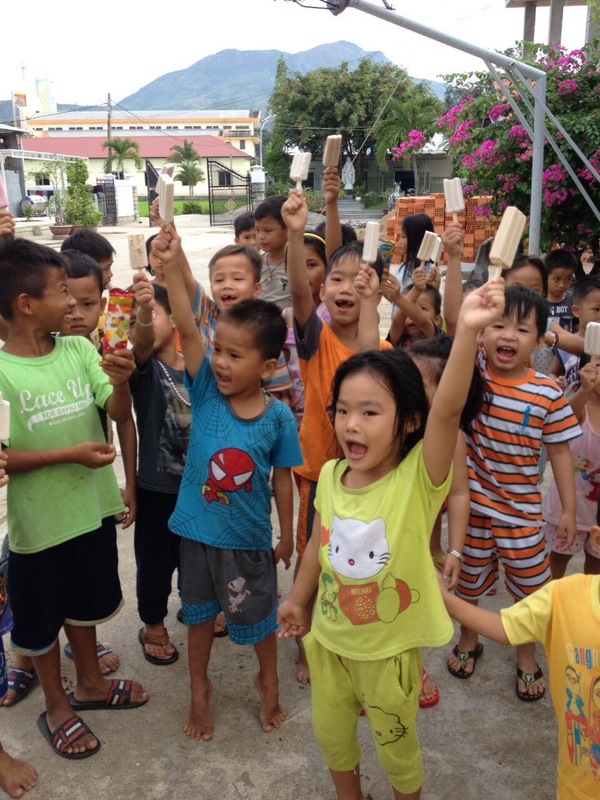 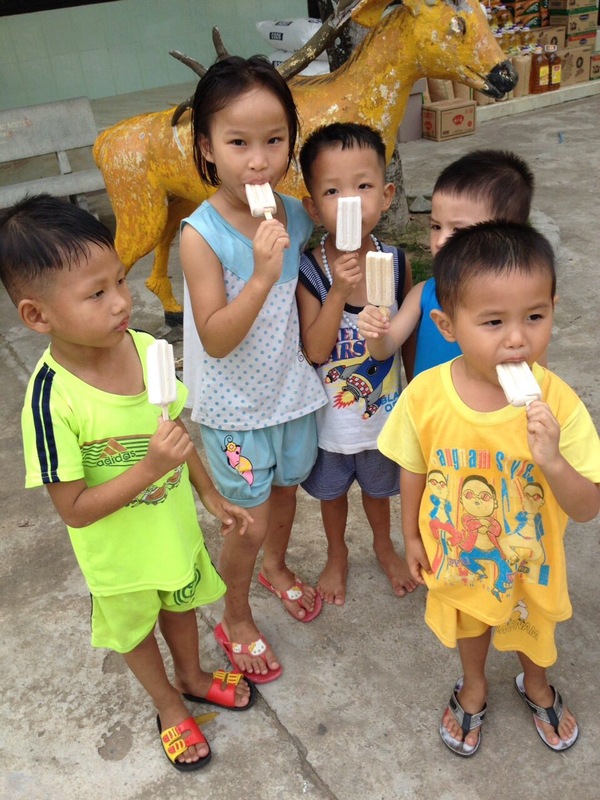 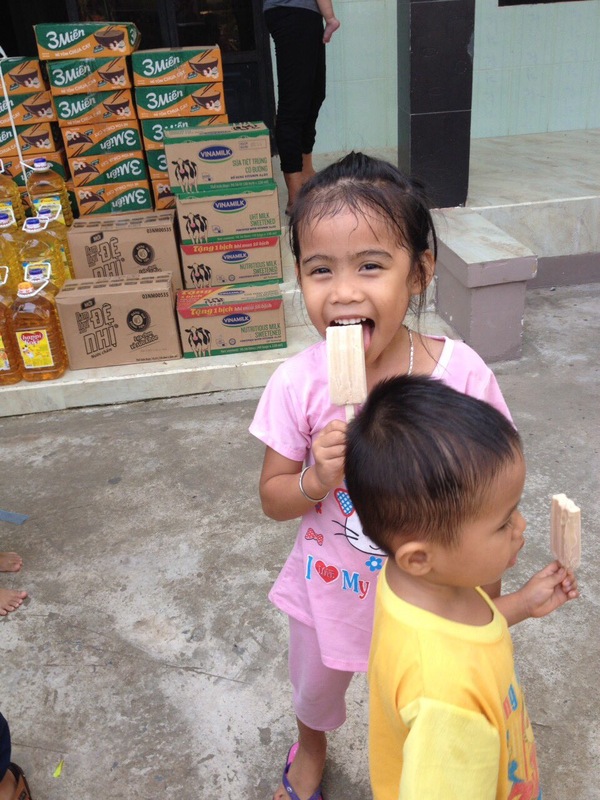 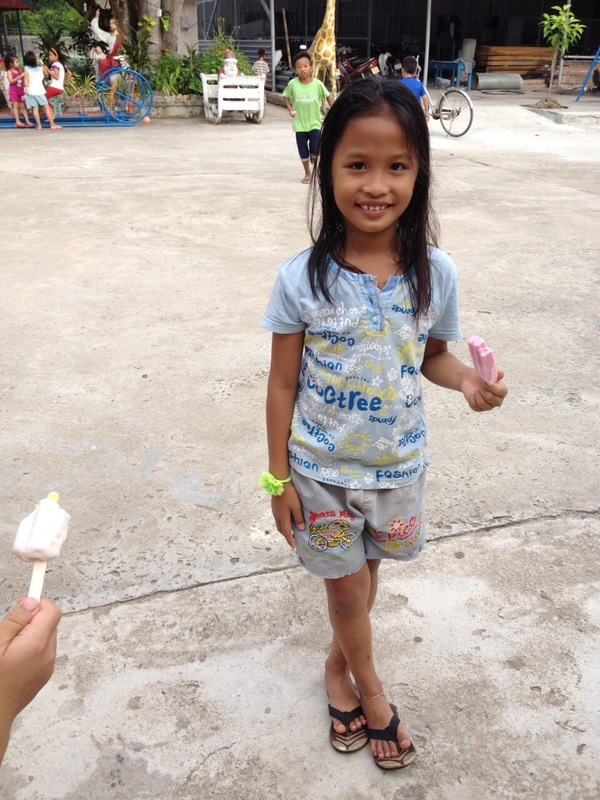 As a fun treat for the little ones, we handed out ice cream popsicles, which hit the spot on the hot summer day. 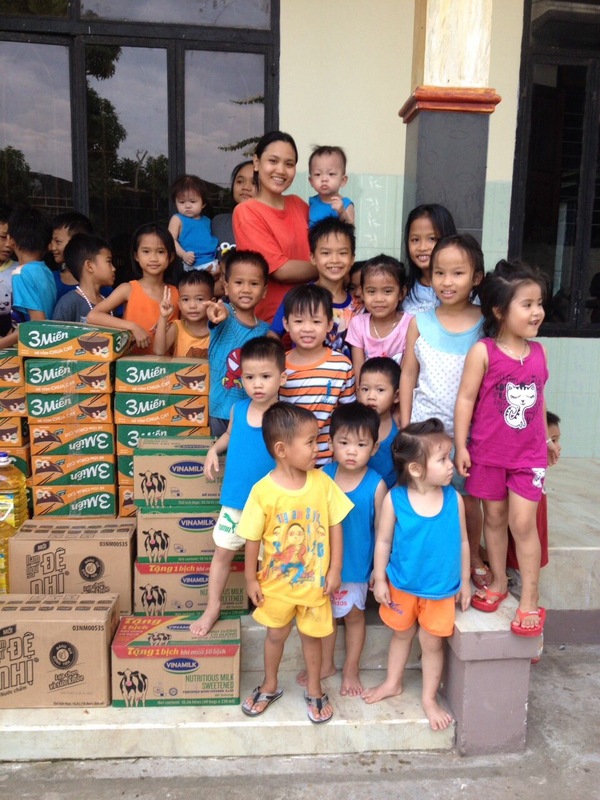 This trip was made possible through the kind donations of Betty Lam.